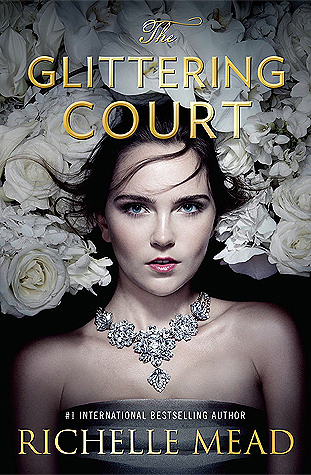 Richelle Mead’s novel The Glittering Court is a #1 New York Times bestseller for a reason; it is more than meets the eye. The story centers around noblewoman Lady Elizabeth Witmore, Countess of Rothford–otherwise known as Adelaide. This proclamation seems to be the driving force behind Adelaide’s decision to abruptly run away from her family and rank and hide herself among women with a more common upbringing than her own in order to secure a marriage contract of her own choice in Adoria, the mysterious country across the ocean! Adelaide competes among her now peers in a competition consisting of ladylike skills such as dining etiquette, needlepoint, dancing, and hosting. After being ranked based on their skill levels they depart to the “new world” to secure marriage contracts with the “new nobility.” However, complications arrive when she realizes that she has fallen in love with Cedric Thorne, the recruiter for the Glittering Court, and a man without the means to purchase her marriage contract. And while Adelaide’s love story with Cedric drives the plot for the rest of the story, Mead instead chooses to focus the novel on important issues including sexism, freedom of religion, and classism. These focal points are no small feats, but Mead examines each of them with a deft hand. She addresses important current social issues and their implications for our own society while still providing the escapism of reading a good book. While some of the groundwork that Mead has to lay in order to present her own versions of religious oppression and classism can drag on, overall The Glittering Court is a great read with engaging characters and a refreshing outside look on important social issues. It’s a great book to finish off the summer with those last few beach trips and pool parties that you’re trying to squeeze in!